Hello everyone, I hope you all had a great weekend and had some time to read my previous blogpost. I’m writing to share that I had the opportunity to attend the opening night gala of the Guadalajara International Film Festival in Los Angeles at the Egyptian Theatre on Friday. The festival showcases a compilation of the best films screened at the Guadalajara festival over the summer. The night kicked off with an introduction to the festival and the contributions it has made for cineastes in Mexico and Latin America. There were also awards presented in different categories to some of the top films showcased in Gudalajara this summer. Then, the “Arbol de la Vida” awards were presented to Emmy-winning reporters Ruben Luengas and Gabriela Teissier, and Academy Award nominee Demian Bichir (A Better Life, The Bridge). The award, which literally translates to “Tree of Life,” is presented to people in the industry who have made significant contributions in their fields. 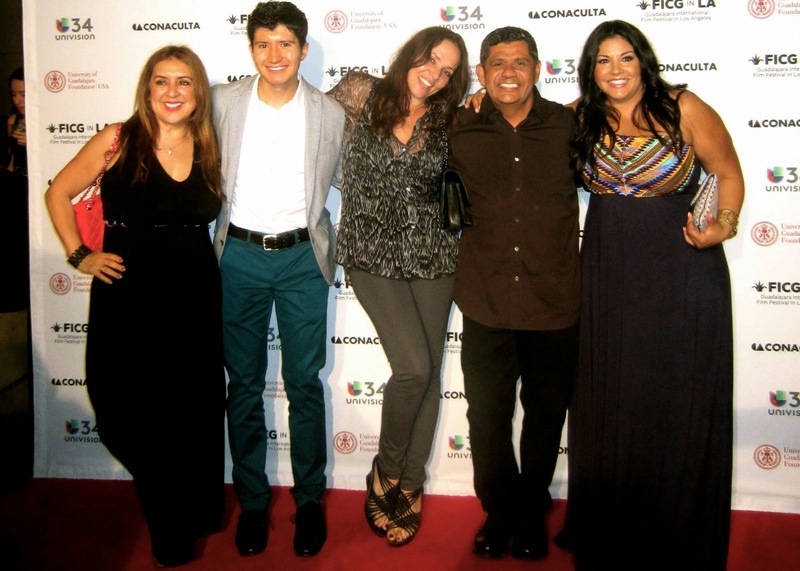 Following the awards, the film Las Horas Contigo (The Hours With You) was screened. This feel-good dramedy is about family, growing up, and forgiveness. Presented by La Banda Films, it is produced by Roberto Sneider (Frida, Arráncame La Vida) and serves as Catalina Aguilar Mastretta’s directorial debut. I was lucky enough to meet Sneider and interact with him briefly; unfortunately for us, there was an amazing live group performing some salsa and merengue with the volume a little too high, so it was a challenging to engage in conversation. Regardless, it was great meeting people with my friends Marco Molina from Veva Entertainment and Isabel Echeverry from Olmos Kontakto. 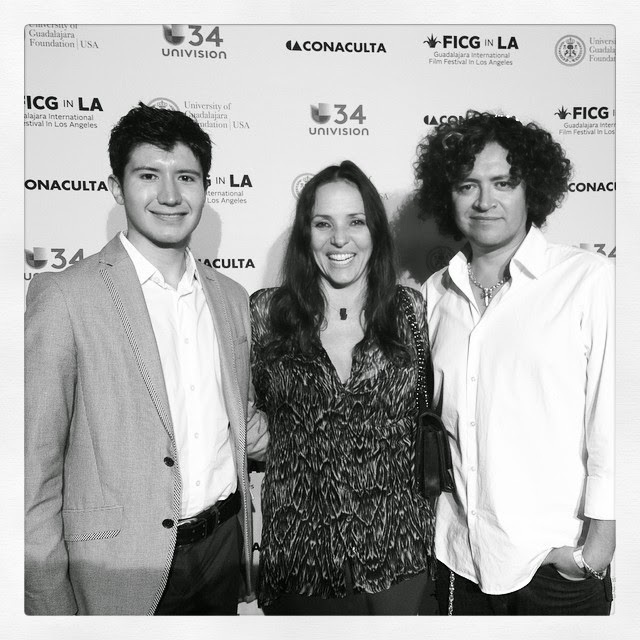 It made me so happy to be part of such an electric night with Mexican and Latino filmmakers and fans. It’s comforting to know there’s such a great community of artists that are hungry to tell new and compelling stories. I feel lucky to have expanded my network and I look forward to keeping in touch and potentially collaborating with some of the people I met. In the meantime, make sure you check out Las Horas Contigo if it’s playing in your city, you’ll be in for a treat. Demian Bichir accepts his "Arbol de la Vida"